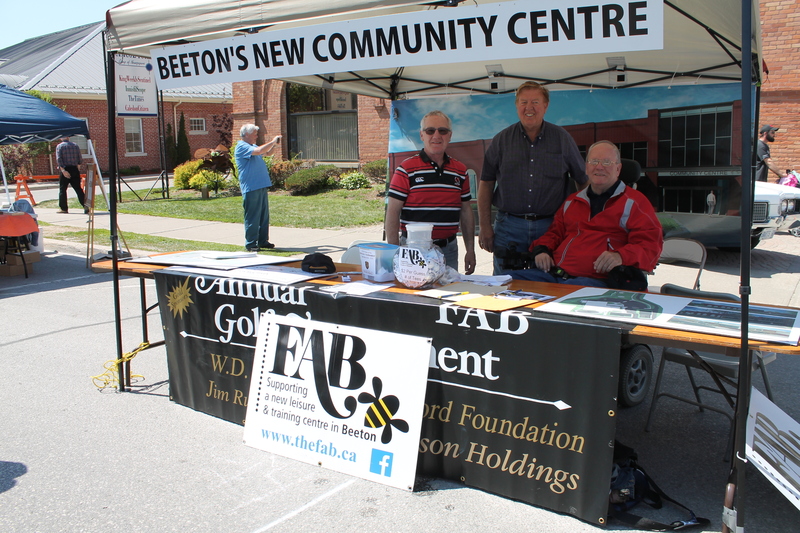 The Annual Honey & Garden Festival took place along scenic Main Street Beeton, Saturday. 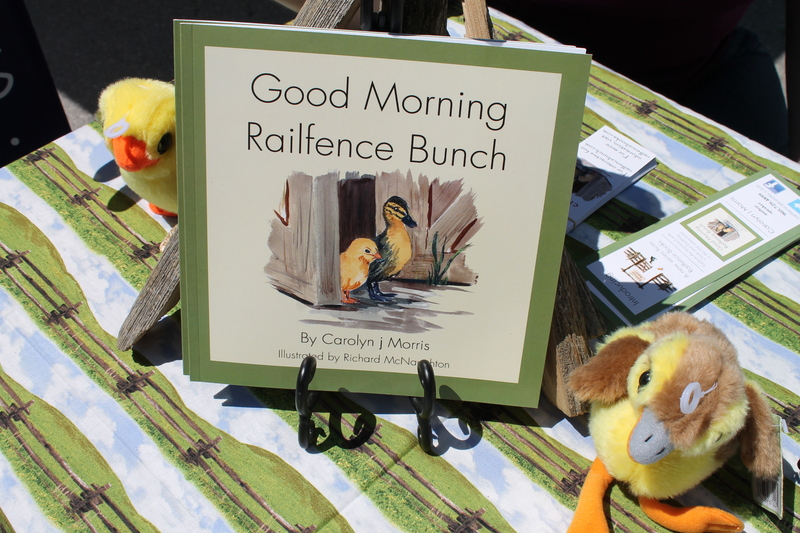 The event was jammed-packed with more than 170 vendors, as well as entertainers, food purveyors and festival goers – who couldn't get enough of the well-planned street gathering, or the bright sunny day. Vendors on-hand were selling everything from antiques to Alpaca sweaters. There was also an International Bazaar, one-of-a-kind pieces, perennials, garden stones, metal décor, rustic benches, solar lights, fresh herbs for cooking, sun dresses, sun hats and sandals and much, much more. 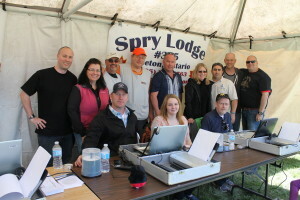 The Beeton fire fighters served up a mighty fine Pancake Breakfast and festival goers were entertained by the Slocan Ramblers at the Muddy Water Bandshell and Beeton Creek Rising at the Four Corners Stage. Juggling and magic shows were held throughout the day at the ‘Kids Corner'. Also for the kids, there were free pony rides, and for the big kids, a ‘Classic Car and Truck Show ‘n Shine'. Of course what would the Honey Festival be without honey! Local honey vendors were on hand selling the sweet golden nectar and offering displays to educate and interest. 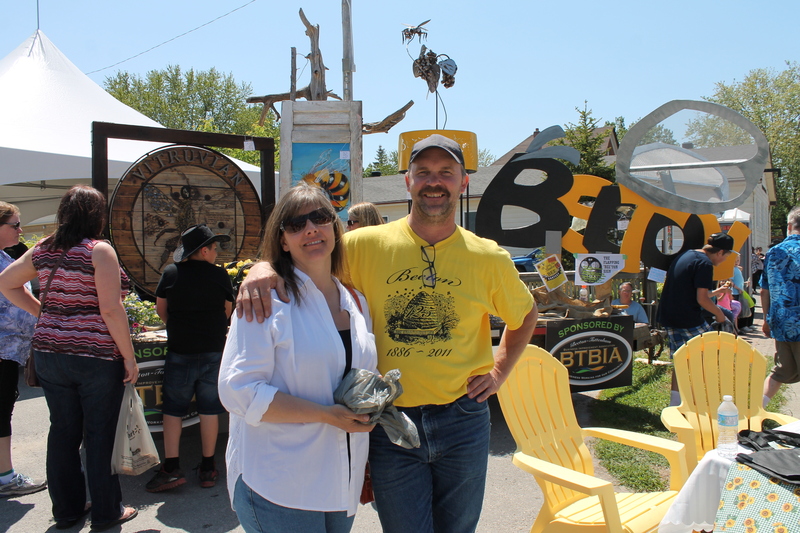 The Beeton–Tottenham Business Improvement Association held its ‘Great Big Beeton Bee Part III' contest, with five entries on display for public judging. But perhaps it was the food that was the most impressive at this years festival. Everything from fresh cut local fries, to Hawaiian BBQ, and Caribbean jerk, plus sushi, souvlaki, pizza, ‘Beaver Tails', funnel cakes, fresh fudge, gelato and so much more that by the time you were done “eating your way through the festival”, you wished the car was parked closer! That sure was one honey of a festival, and the best way to usher in a fabulous spring day. Carol Maitland (centre), fundraising and communications coordinator for CONTACT Community Services, selling Chippery Potato Chips for $5 bag at the Honey & Garden Festival. The chips are made right here in Alliston, from potatoes containing no GMO's. 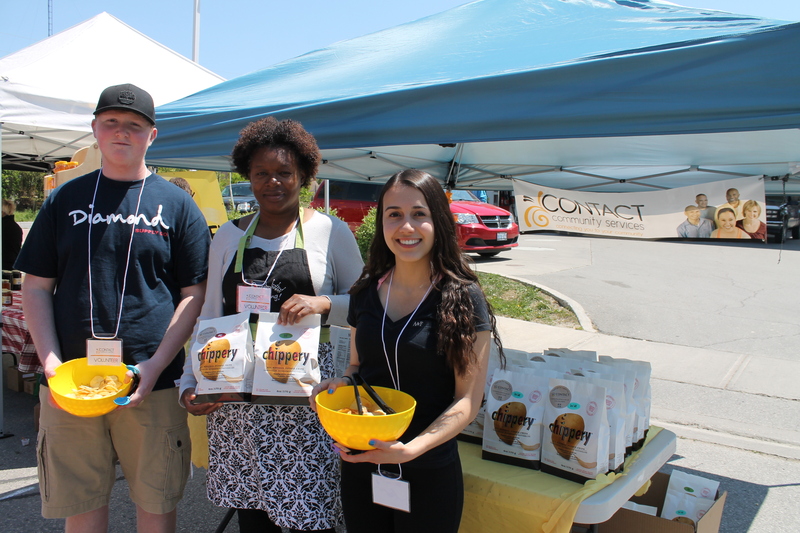 Proceeds from the sale of the chips will benefit CONTACT, a registered non-profit charity which provides a range of free services to the residents of South Simcoe. For ways that you can contribute, e-mail carol@contactsouthsimcoe.ca, or call 705 435-4900. Bo Niederhuber, president of the Beeton–Tottenham Business Improvement Association (BTBIA) and his wife Sharon, in front of the amazing entries for the ‘Great Big Beeton Bee Part III' contest at the Beeton Honey & Garden Festival last Saturday. 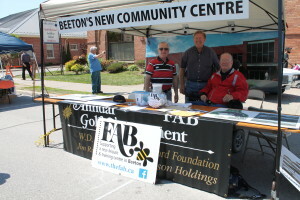 Mayor Rick Milne, FAB supporter Ray Lisk, and FAB supporter Jim Milligan at the Beeton Honey & Garden Festival.